The Halcyon Crystal Incense Collection ® are premium quality, hand dipped incense made with genuine crystals, fresh herbs and superior Angel’s Mist essential oils! They are always made fresh in small batches. We allow time for the rich essential oils and herbs to absorb, creating the finest quality incense you can buy. They are then hand rolled in pulverized crystals. Each incense bundle comes with 50 incense sticks wrapped in color coordinating paper, tied in rafi with a matching mini-caged genuine crystal tied around it! This fantastic new line of incense blends the metaphysical power of genuine crystals with sacred herbs, flowers and oils from around the world. Andrew has developed this entire line using some of the earth’s most unique gems, minerals and resins to create potent incense for any kind of emotional/spiritual healing! Capturing the Vibessence ™ of a single ground and powdered crystal, we mix these with the pulverized natural harmonics of such herbs as jasmine, lavender, musk and sage in order to create incense with the highest frequencies for positive intention. Alaskan Arctic Amber: This unique stone resin comes from the unique Prince Creek formations. Due to its strong connection to nature and the earth, amber is great for grounding our higher energies. Amber can add stability to your life. Helpful in clearing up depression and suicidal thoughts therefore, bringing about a positive mental state. 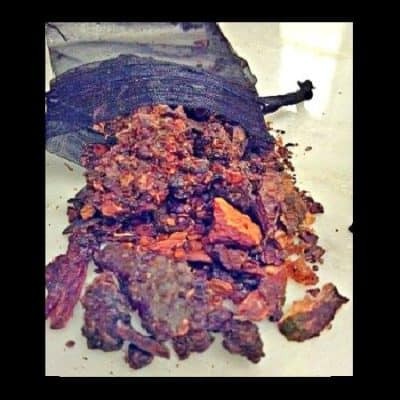 Stimulates the Solar Plexus Chakra these incense are complemented by the centering scent of musk. 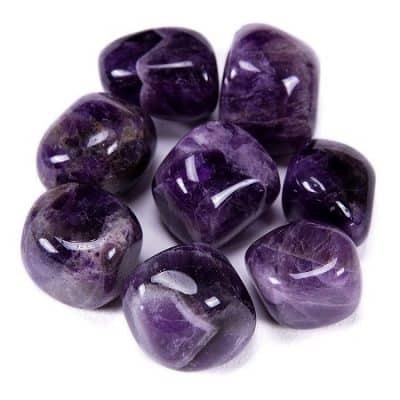 Chevron Amethyst : This crystal combines the strengthening and enhancing qualities of quartz with the stress relieving qualities of amethyst. 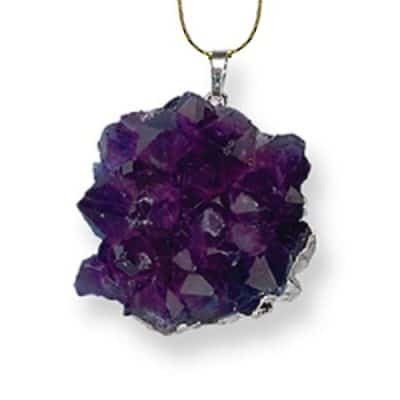 This symbiotic combination of minerals lends itself to a wonderfully spiritual stone, which is great for gently removing the veils that obscure some of the hidden meanings in life. It is blended with the highest grade of Provence lavender for a highly aromatic tool. These incense stimulate the Third Eye Chakra. 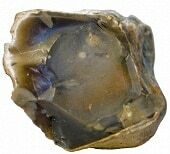 Crop Circle Flint: This natural flint found inside Crop Circles in England, releases a very powerful current of energy, which can be felt when you handle them. This flint holds the vibrational patterns of crop circles themselves, and can act as evolutionary talismans, accelerating the path of one’s spiritual awakening and opening a path for inner communication with the Circle Makers. We combine the sacred scent of sage with this stone, believed to help awaken the blueprint of human destiny in relationship with the divine. Native American Lapis Lazuli: this powerful, stone has been used by the Native Southwest American Indians for centuries in healing and spiritual work. Lapis stimulates both the Throat Chakra and Third Eye Chakra promoting communication, psychic intuition and a nurturing spirit. 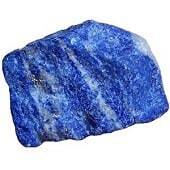 Lapis Lazuli is a “stone of total awareness”, helping to expand awareness and intellectual stimulation. We blend rich frankincense with Southwestern cedarwood. 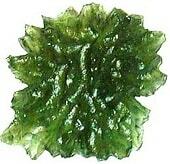 Meteoric Moldavite: is a great stone for bringing great change in short periods of time. 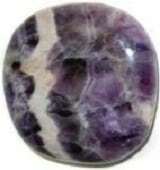 This stone is used for accessing the higher self working as a catalyst for the inner evolving spirit. It is used to align yourself with the power of the divine. Its divining spiritual nature is believed to come from it extraterrestrial roots. 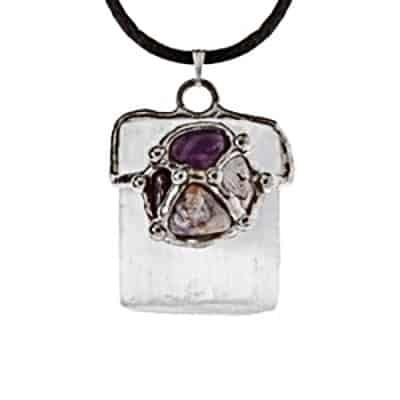 Stimulates the Heart Chakra energy encouraging positive space in your life. We blend cool eucalyptus oil and sweetgrass to bring about a powerful change of heart. Rainbow Moonstone: Being associated with the moon, this stone has always been the stone of love and lovers. It is offered as a “blessing” in Arab countries and encourages fertility. Moonstone is most potent when used in a full moon. Its rainbow properties offer a gentle, calming energy as it strengthen intuition and psychic perception. It enhance creativity and compassion and enlivens inner confidence as it brings balance and harmony into your life. The rainbow effect draws in a spectrum of light, and can help with bringing in uplifting energies to the Aura. This has a subtle blend of moonflower and lavender essential oil. Tibetan Quartz: The quartz crystals that come from Tibet are attuned to the esoteric knowledge that has existed in Tibet for so long. It is helpful in healing and drawing energy to a specific area. Meditation and attuning yourself to this ancient wisdom will assist you with accessing the Akashic Records. It helps one understand how past life connections are related to present life karmic lessons. This is attuning to the highest attribute of the Crown Chakra. These incense are blended with lilies, lavender and white chrysanthemum. The Halcyon Crystal Incense Collection ® are premium quality, hand dipped incense made with genuine crystals, fresh herbs and superior Angel’s Mist essential oils! They are always made fresh in small batches. We allow time for the rich essential oils and herbs to absorb, creating the finest quality incense you can buy. They are then hand rolled in pulverized crystals. Try it and we’re sure you’ll agree, these peaceful incense boost your spiritual/emotional connection, calm excessive behavioral patterns and are used as a “feel good” stress relieving remedy. The Vibessence ™ of this product is not affected by extreme temperature changes, excessive sunlight or time. 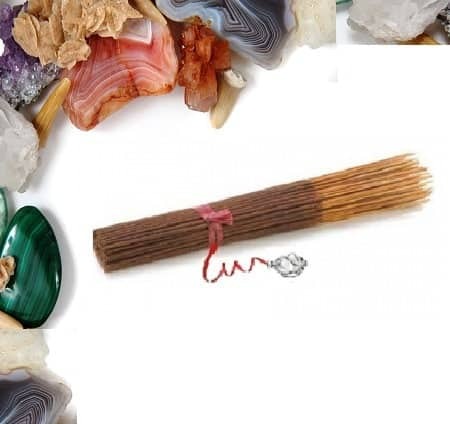 Each incense bundle comes with 50 incense sticks wrapped in color coordinating paper, tied in rafi with a matching mini-caged genuine crystal tied around it!